Smartjobboard Facebook Recruiting Application is a modern recruitment tool that leverages the power of the most popular social network ever existed. The application allows you to create your own personally branded page on Facebook featuring jobs from your main job board. It automatically connects your job board with Facebook and dynamically displays jobs on your Facebook page. Anytime employers add, edit or remove the jobs your Facebook page is updated automatically. 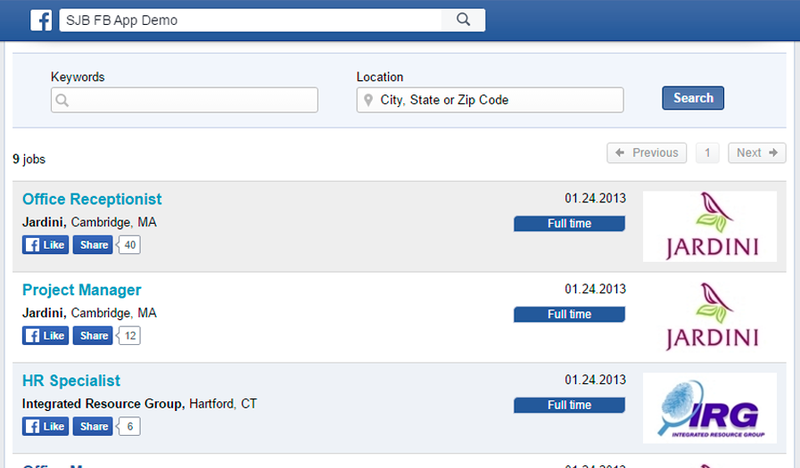 Job seekers search jobs on Facebook and when they are ready to apply they are sent directly to your main job board. The application provides user-friendly search module allowing to search jobs by keywords and location. The today’s recruitment world constantly develops and social recruitment is getting more and more popular gradually displacing traditional recruitment methods. A job board having a page on Facebook tends to evoke trust and appears to be professional and innovative. By establishing your strong presence on Facebook you reach a new level in social recruitment business switching from traditional recruitment methods to the latest technologies and following latest recruitment tendencies. You can significantly boost the popularity of a job board by using the application. The Facebook Recruiting Application allows your employers to reach the largest talent community and establish strong business relationships in the world of social recruitment. Application allows to reach candidates in the space where they spend most of their time. Job seekers can easily share interesting jobs by “liking’ them or sending them to their friends which adds value to the job board’s propagation. The application allows you to have a Facebook page branded with your company’s logo and header image. You will get a distinctive outlook of your Facebook job board and at the same time the overall design will be naturally balanced with the Facebook’s default design. 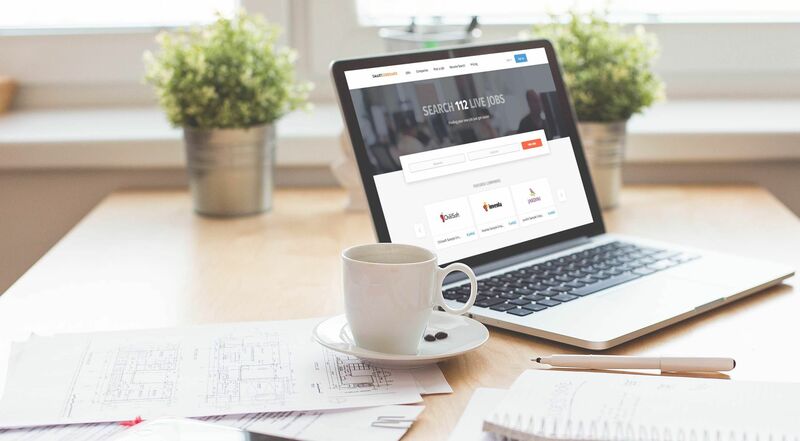 Logo and header image can be easily changed from your Admin Panel any time you need. You will be able to attract job seekers by easy-to-use interface of the application and ability to search jobs not leaving the habitual environment of Facebook. Employers will be attracted by the possibility to advertise their jobs not only on your main job board but also on Facebook reaching the vast audience of talented specialists even for tough-to-fill positions. Smartjobboard Facebook Recruiting Application can become a significant cost effective addition to your job board business. It is easy and quick to install it, it is easy to personalize it and it is even easier to maintain it. Please see our pricing page for information about Facebook app pricing.